Electrolube, the global manufacturer of electro-chemicals, has provided an innovative solution for a complex LED assembly issue. 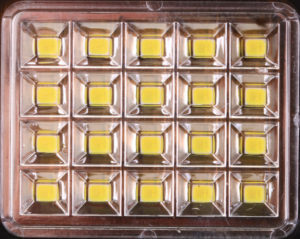 The customer, a leading manufacturer of street lighting and high-bay luminaires in India, had been experiencing problems with the attachment of individual lenses to the elements of multiple LED arrays. The function of these lenses is to scatter or focus light from the arrays, as required, and while some of them are held in position by fasteners, most are secured in place with a locking mechanism. The locking mechanism is perfectly adequate when the luminaire is placed in situ but it tends to loosen during transportation, leading to the lenses becoming detached and causing damage to the array. The use of cyanoacrylate adhesives was considered as an alternative means of attaching the lenses but this solution was rejected on the grounds that this caused fumes during applicationprocess, which posed a health hazard to the workforce. The customer then decided to try a clear adhesive that they had been using in other areas of production but this took too long to cure, ultimately delaying their tight production schedule. A fast curing, clear adhesive was deemed the only solution and, aware of Electrolube’s reputation for solving seemingly intractable manufacturing problems for a variety of electronics manufacturing clients, the customer approached Electrolube India, confident that it would be able to suggest a suitable product. Following an assessment of the customer’s needs, which specified manual mixing and dispensing, Electrolube India’s technical team decided that Electrolube’s UR5634 polyurethane resin would more than meet the requirements of this application, particularly as it offered an exceptionally fast cure time when mixed and had the required stable optical clarity so vital for LED applications. 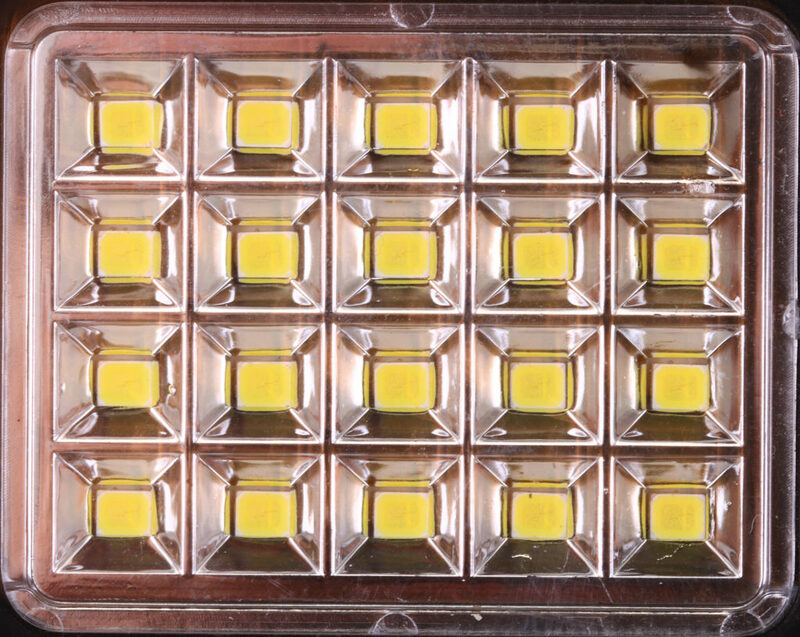 UR5634 is a two-part, semi-rigid aliphatic polyurethane resin specifically formulated to be optically clear, ensuring its ultimate suitability for LED encapsulation and potting applications. It is clear and transparent, which makes it the resin of choice for both aesthetically decorative LED luminaires and those that must have effective protection against adverse environmental conditions. When used as a potting medium or encapsulant, UR5634 performs reliably in all weather conditions and offers good acid and alkali resistance. Since the resin is an aliphatic polymer, it is strongly resistant to yellowing when exposed to UV light, making it especially useful as an outdoor LED encapsulant or for use in other applications where it may be exposed to direct sunlight.